Jane Addams was the first American woman to win a Nobel Peace Prize. She started earning the prize on September 18, 1889. That was her first day at Hull House. Addams was born in 1860, the youngest daughter of a wealthy family from northwest Illinois. 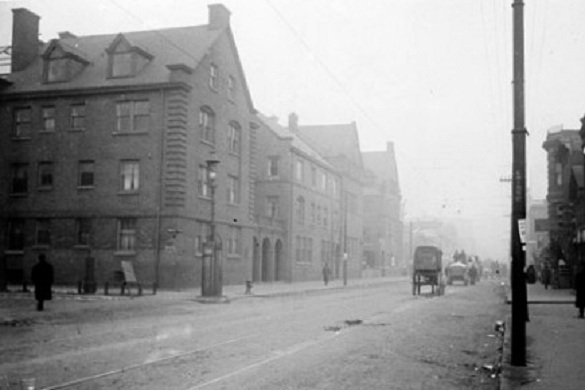 While on a visit to London she was impressed by the Toynbee Hall settlement house. This was a new concept in charity. In the past, concerned people might visit poor neighborhoods and do works of mercy during the day, then return to their own middle-class homes at night. The settlement idea was different – the “social workers” would actually live among those they were trying to help. Addams thought the idea would work in Chicago. She had recently inherited $50,000 on the death of her father. In the spring of 1889, with her friend Ellen Gates Starr, Addams set out trying to put her plan into action. She decided to locate on the Near West Side. During a scouting trip in the area of Halsted and Polk, Addams noticed an old brick mansion that had seen better days. This was the onetime residence of Charles J. Hull, now owned by his niece. The niece agreed to lease the property rent-free, so the grateful Addams named the settlement Hull House. The idea of two well-bred, upper-crust young ladies setting up housekeeping in a notorious slum caused some consternation, and some amusement. Addams and Starr did have to do some adjusting. On their first night, they forgot to lock one of the doors – in fact, they left it wide open. When they woke up the next day, and found nothing was missing, Addams took it as a hopeful sign for the future. Hull House was a success. The people of the neighborhood came to accept Addams and Starr. 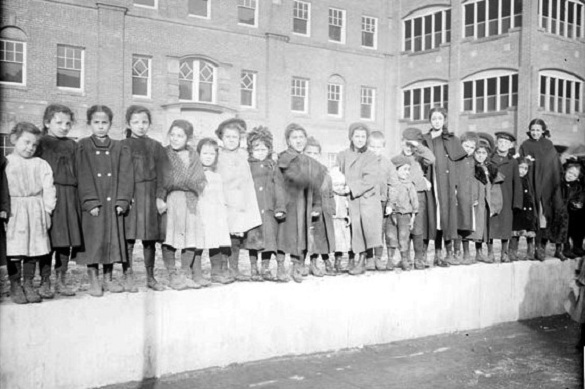 Within a short time the settlement offered medical care, a dining room, bathhouse, library, gymnasium, lodging for about 20 women, night school for adults and the city’s first kindergarten. The property eventually had thirteen separate buildings, plus a summer camp in the country. Jane Addams died in 1935, Ellen Gates Starr five years later. During the 1960s, most of the settlement buildings were razed for the UIC campus, but the original mansion remains as a museum. 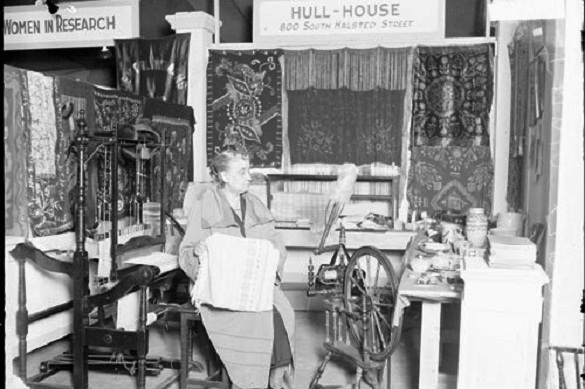 The Jane Addams Hull House Association continued the work of its founder until this past January, when it ceased operations.